Do you know how attractive you are? Are you aware that every day you draw into your world a wide array of situations, experiences, and people that shape your life? Do you understand the earth-shattering implications of this power that you hold? If you’re like most people, you probably don’t. Most people don’t think about it much. They’ve just resigned themselves to the “fact” that life is just something that happens… it’s a collection of various circumstances – both wonderful and difficult. Sure…everyone wants more ‘wonderful’ experience s and less ‘difficult’ circumstances, but you probably have no clue how to make that happen. You work hard and that yields a few fruits and tangible results, but wouldn’t it be great if more things would just…take care of themselves? While we’re at it…wouldn’t it be great if you could keep unfortunate or inconvenient things from happening to you? Parking tickets…painful disagreements with your friends and co-workers…illness & injuries? YOU are in the driver’s seat when it comes to YOUR life. And as I mentioned earlier, YOU are INCREDIBLY ATTRACTIVE. And I’ll tell you something else that will help you tremendously…You can begin to attract more positive experiences, money, friends and success & happiness into your life…literally like a MAGNET…using a few simple and ancient secret practices. I know…it’s a little “out-there,” which is why I’m offering an entire course to help you understand these concepts and make them a beneficial part of your life…and you’re invited, FREE, as my guest. The Law of Attraction states that like attracts like. 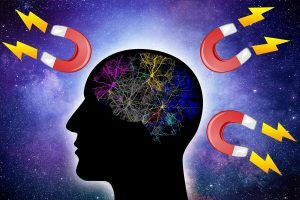 Just like a magnet (which is essentially raw iron with an electrical, energetic charge running through it) can attract other iron and iron composites, YOU attract people and situations that are similar to you. If you are a person of good will, happiness and success, then you will attract good will, happiness and success to you. The tricky part is that if you hold any thoughts or action of failure, disappointment and complaint, you will attract more failure, disappointment and reasons to complain. Essentially, if you’re not getting what you want out of life, it’s time to take a look inside and see where (and how) your messages are getting mixed up. And I am here to help you, and I promise I’ll make it SIMPLE AND EASY. All you have to do right now is register for my training on Becoming a Living Magnet: An Introduction to the Law of Attraction, before all of the seats fill up. During this unique and powerful 60-minute training, we will work together, INTERACTIVELY to design the life you truly desire, and implement practices that will help you create it. 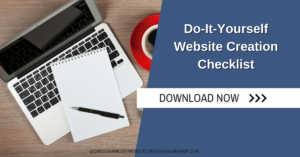 As part of the training you will also receive follow-along worksheets which you will use to create a blueprint for attraction that you can use over and over again. Then following the call you’ll walk away with homework to make sure that these powerful and important lessons stick with you as you move forward in your life. Join us for “Become a Living Magnet”: An Introduction to the Law of Attraction and discover what you are truly capable of. After all, you’ve lived THIS LONG without knowing how to use the Law of Attraction, and you’re doing alright…right??? But be honest…don’t you want more than to simply do alright? Wouldn’t you like to THRIVE and enjoy your life to the fullest at every level? There IS a better way, and we can show it to you IN LESS THAN 90 MINUTES. Oh, and did I mention that this call is FREE*??? That’s right…it won’t cost you anything but your time to come and learn how to start using earth-shaking universal laws to your greatest advantage. Don’t waste another second living a life of mediocrity and unfulfilled dreams. You have far more important things to do. Register NOW, before you miss out on another moment of SUCCESS & HAPPINESS. Space on this call is limited (it is highly INTERACTIVE, after all). P.S. If there’s someone in your life who could benefit from this training, PLEASE SEND THEM THIS LINK. I promise you…they’ll thank you for it.